These air diff users are designed for comfort ventilation in all types of homes where balanced ventilation is installed, e.g. new builds or rehabilitated blocks of fl ats. 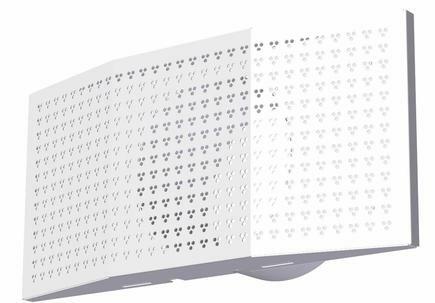 They are designed for standard wall thicknesses with steel joists and a single sheet of plasterboard on both sides. 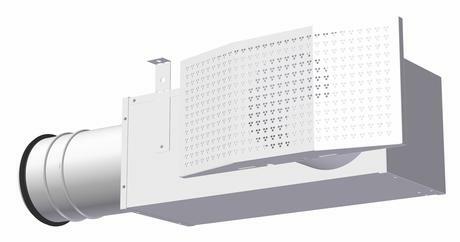 The rectangular JBV air diff user consists of two parts: the mounting frame, with a spigot for the supply air duct, and a removable front face. No tools are required to install the diff user face, and it can be easily removed for cleaning, etc. The diff user face has separate grooves for control wires and measuring tubes. 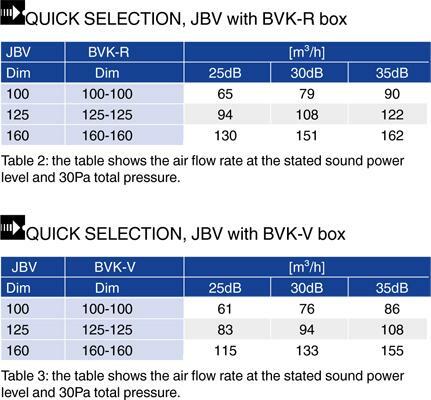 A BVK plenum box is recommended because it provides better sound attenuation and control and measuring options. The BVK is a rectangular box with detachable sound insulation and a damper which provides access to the connecting duct. The damper can be locked in any position required. The BVK comes in two designs, straight and angled. The sound insulation eff ectively dampens sound and releases no material fi bres to the surroundings. The insulation can be removed for cleaning. The plenum box features a wire operated damper and measuring outlet for adjustment. The diff user's parts are made of galvanised sheet steel. The surface is painted standard white RAL 9003 - gloss 30. The BVK is supplied with a galvanised fi nish and polyester sound insulation. The spigot has a rubber EPDM seal. The JBV diffuser has a rubber seal and is easily installed in the connection and attached with screws in the diffuser's mounting frame. The BVK box has mounting brackets with slots that are adjusted and attached in the most appropriate way.